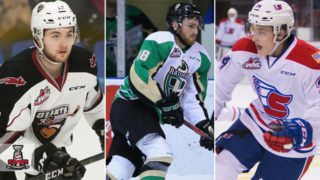 Calgary, AB – Leading up to the 2011 NHL Entry Draft in Minnesota on June 24 and 25, WHL.ca and WHL Web TV, will highlights five WHL players who are highly ranked by NHL Central Scouting leading up to draft day. This week’s featured WHL player is Portland Winterhawks’ playmaking forward Sven Bartschi. C.C.S Rank: 7th among domestic skaters. 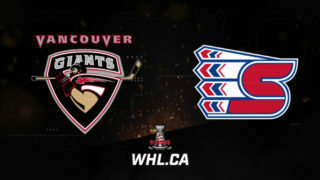 Sven Bartschi just completed his first season in the WHL with the Portland Winterhawks, helping the team capture its first U.S. Division title since the 2001-02 season. 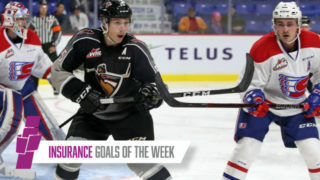 The 18-year-old from Switzerland was the Western Conference nominee for the WHL Rookie of the Year award after posting an impressive 34 goals and 85 points during the 2010-11 season. 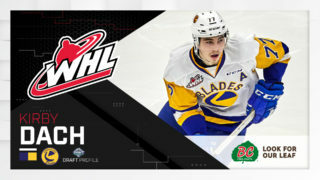 Though not much was known about him prior to the start of the season, Bartschi opened plenty of eyes with his skill, offensive ability and his willingness to battle and compete for the WHL Western Conference Champion Winterhawks. His vision, puck skills and offensive instincts led him to become one of the top scorers on an offensively talented the Winterhawks team during the season. A good shot quick release coupled with strong passing skills make Bartschi a threat as a scorer and playmaker. The 5’ 10” left winger also showed he’s not averse to the physical side of the game, and is more than willing to go to the tough areas of the ice to score or make plays. Bartschi also showed steady improvement on the defensive side of the game throughout the season. 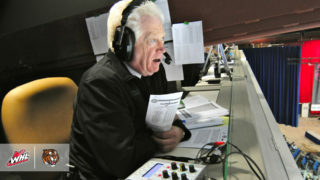 “We knew he had the ability to be a top player, but he has adapted well and has probably exceeded our expectations,” said Winterhawks’ head coach and general manager Mike Johnston. “He’s an explosive player, he’s got quick shot, quick hands and quick feet, has great vision on the ice and very good offensive skill, and is really solid defensively as well. “He’s played 99 games in his first year in the League, and taken a pounding, so he has shown he can compete and doesn’t shy away from the physical side of the game,” said Johnston. Bartschi was one of four Winterhawks to play in the 2011 Home Hardware CHL / NHL Top Prospects game, suiting up for Team Orr. 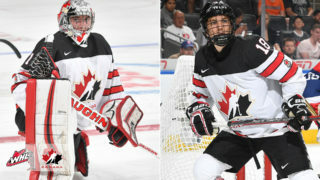 He suited up for the Swiss Under-18 team in 2009 and 2010, and also played for Switzerland at the 2011 World Junior Champonship. Did you know…Bartschi played with fellow Winterhawk and countryman Nino Niederreiter on the Swiss Under-18 team in 2009 and on the Swiss National Junior team in 2011.